The fashion industry is one that is fast paced, and consumers no longer buy clothes for their function but rather as self-expression. The consumer appetite has grown but the competition has too and it can be very tricky for retailers to predict what trends customers will be after even a few months into the future. Most jobs in fashion related industries in the UK are in retail. There is increased competition in the industry with more retailers and more platforms for retailers to sell through. Fashion trends move quickly, which can make stock choices difficult. The fashion industry is fiercely competitive, so finding a niche in the fashion retail market may help you establish a good foothold. 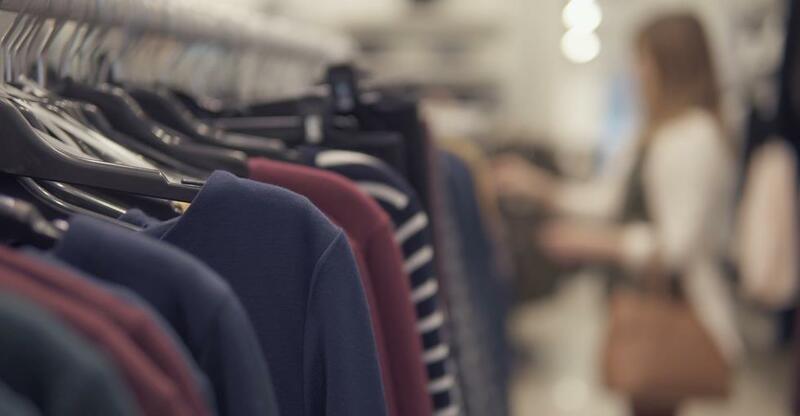 At the cheaper end of the market, discount stores have boomed over the past few years and now enjoy nearly a quarter of the UK clothing market. Stores such as Primark and Matalan offer consumers 'fast fashion', copying trends from the catwalk, but supplying copycat goods for a fraction of the designer price. Topshop has forged an innovative reputation for selling fashion, for both the lines they stock and the methods of shopping they offer. Fashion retail more than any other industry will have to adapt to younger consumer’s desires to have a unique experience when they shop. How will your business be able to create an on-brand in-store experience that will draw in customers? Think yoga classes, blow waves or skateboarding areas. You cannot, however, just pick something and hope it works. Your customers will be wise to whether the experience connects to the image and brand of your shop. Your customer’s experience needs to be seamless from online to offline. Keep everything you do central to your brand. Due to the changes in the industry, lower and mid-range retailers may find it difficult to compete. It is possible, however, to make yourself stand out. Gen Z spending will remain loyal as long as your brand is conscious of what they want. Create a shopping experience for them with an online presence that will make your brand more appealing than the large players. Selling online can reduce the amount of stock that you need to have onsite and so, combining this with your brick and mortar store can be a great way to increase sales without increasing your rent. Find what it is that makes you stand out from other businesses and market it. Your business will be your customer’s go-to brand if they believe in what you do. Are your products sustainable or ethically made? This is an industry that often relies on passion. Your passion, however, will only take you so far. You will need to be smart when you look for the right business to buy and think about what kind of fashion retail businesses you want. This will impact the location and the size. You will also need to think about what kind of branding you will be able to do and the existing online presence of the fashion retail shop. Thinking these things through will help you know what kind of price you should be paying for the business and how much extra capital you will need after the purchase. The next step will be to find the business that will suit all of your needs as well as your budget.